Inanimate Objects » What is modeling paste? 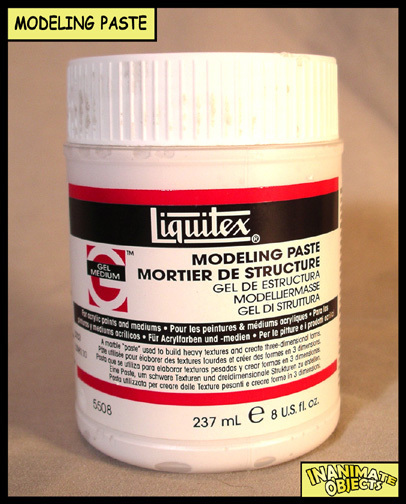 Modeling paste is a thick liquid that will dry into a chalky, rock like material. It’s useful for some quick fixes and fills, but fairly difficult to use otherwise. Usually available at most art stores near the acrylic paints.